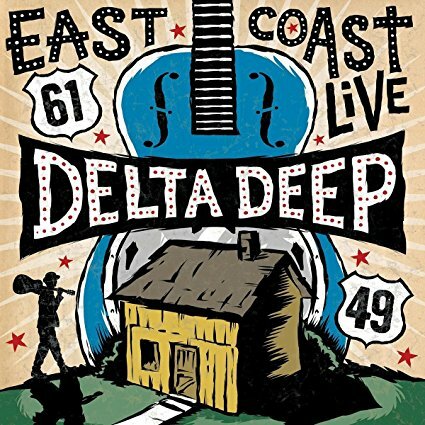 Though Delta Deep’s members might have disparate backgrounds, they come together in a seamless fashion on their new CD/DVD release East Coast Live. Fittingly, this blues-influenced rock album includes a cover version of Led Zeppelin’s “Black Dog,” one of the defining songs from one of the original heavy, blues-influenced rock bands. Hearing the soulful vocals of Debbi Blackwell-Cook, it becomes readily apparent why this band has been previously described as “Aretha Franklin & Chaka Khan performing with Led Zeppelin.” As for most of the remaining tracks, a better comparison might be Aretha Franklin performing with Van Halen, since the majority have the feel of a hard rock album from the 1980s. Though most of the tracks on East Coast Live are bluesy in feel, structurally there are few examples of the 12-bar blues form. The bluesiest songs are the B. B. King standard, “Rock Me Baby,” and the first single from the album, “Bless These Blues.” Musically, the latter song sounds like a high-powered version of “Catfish Blues,” which has been recorded by many musicians, but most notably Muddy Waters and Jimi Hendrix. “Treat Her Like Candy” is perhaps the most refreshing track, as well as the most soulful. “Shuffle Sweet,” a hard-driving rock tune, brings to mind heavier bands such as King’s X. The best example of a slow blues song on the album is “Whiskey,” though a close study of the chord changes and form reveals it’s just masquerading as blues. Nevertheless, diehard blues fans will likely appreciate this tune more than any other. 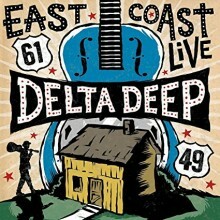 Blues-influenced hard rock is hardly a new development, but the addition of a female vocalist with roots outside of the rock tradition contributes to Delta Deep’s unique flavor. East Coast Live is chock-full of soulful singing, flashy blues guitar licks, and phenomenal drumming—and the fact that it captures a live performance definitely adds to its allure. In short, the album is capable of engaging a broad range of listeners; and even the Stone Temple Pilots and Def Leppard fans that are drawn to this album should be pleasantly surprised.